BBC Proms 2017 kicks off at the Royal Albert Hall with Beethoven's Third Piano Concerto performed by Igor Levit. The concert also includes a new work by Tom Coult. BBC Proms 2017 kicks off in style tonight at the Royal Albert Hall. 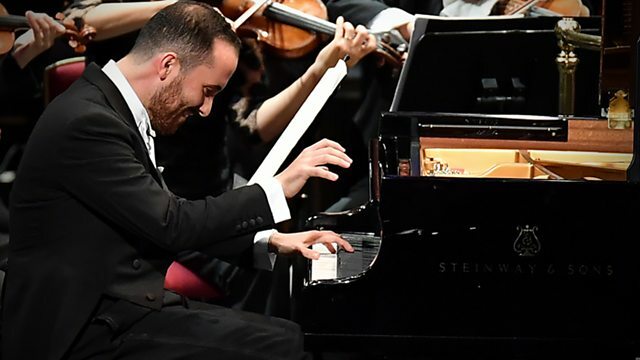 Beethoven's dramatic Third Piano Concerto is performed by star soloist Igor Levit with the BBC Symphony Orchestra and conductor Edward Gardner. This opening concert of the world's biggest music festival also includes a raucous new work by Tom Coult, St John's Dance, the first of 13 world premieres at Proms 2017. Presented by Katie Derham. Performer: Igor Levit. Orchestra: BBC Symphony Orchestra. First Night of the Proms, Proms Extra on BBC Two and more. The finest performances from the world's greatest classical music festival.